Buccaneers And Ball Gowns: Coco! Last night I went to Eugene and saw Conan at the first show of his tour! It was amazing, so much fun. I was so sad when Conan had his show taken away and I couldn't watch him on TV anymore, so seeing him do his thing in person was just plain awesome. Also, he is set to have a new show on TBS starting in the fall, so he will be back. Some of my friends were there, and Mister B. but none of us were sitting together. Mister B. had a really good (but expensive) seat toward the front, so he had a great view which is good because he loves Coco even more than I do! Good times were had by all. 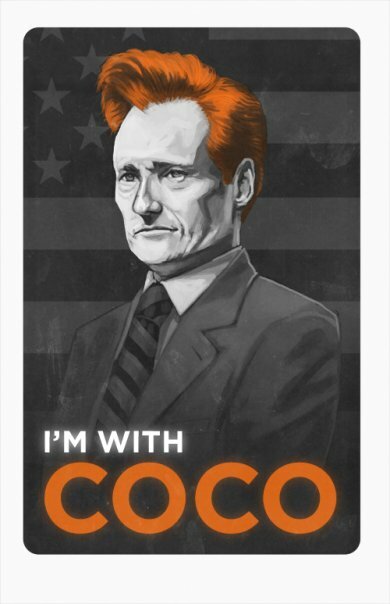 Thanks Conan.